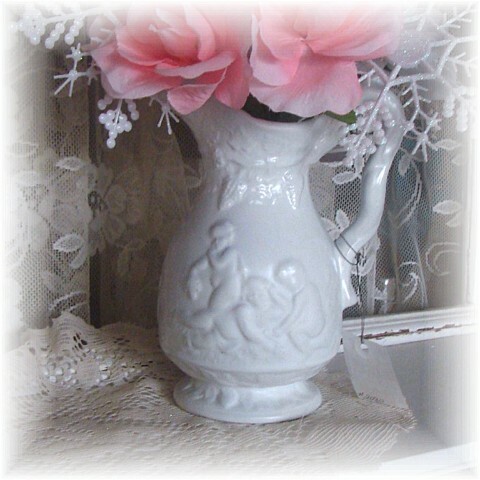 Cute as can be... three little angel/cherub pitcher. 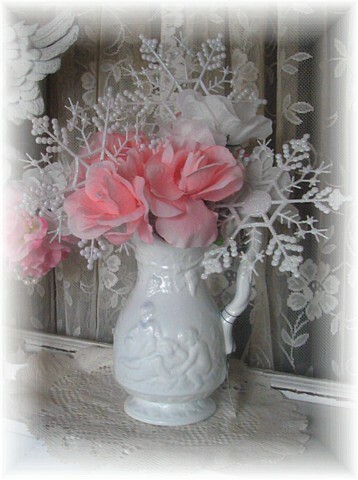 As a center piece or on a shelf mixed with pictures, and other art, to a make a beautiful romantic vignette. 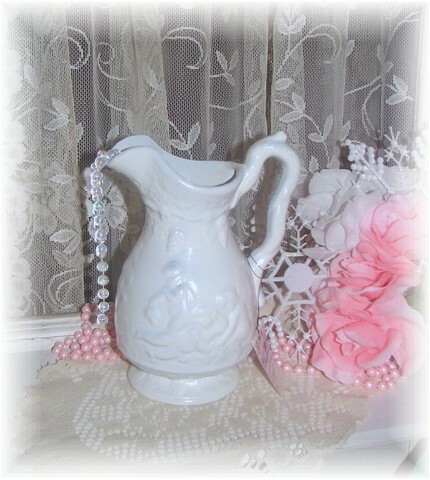 What a great piece to add to your romantic cottage, victorian, or country collection. Other items not included.